I have two fussy eaters at my place so mealtimes are a total nightmare. Except it’s not the food that causes all the fuss – it’s the plates my son and daughter eat from. Dinners have been known to degenerate into complete chaos if I’m silly enough to serve up my son’s favourite stir-fry in a bowl that has even a hint of pink. And god forbid I should put my daughter’s lunchtime sandwich on a plate embossed with cars or pirates! So I’m mumbling a little prayer of thanks to Oré for coming up with the Vintage Alphabet range of tableware that suits boys and girls. 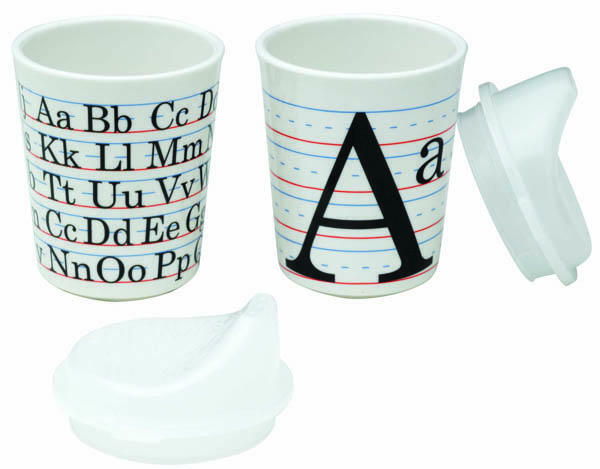 Part of Ore’s SugarBooger children’s range, the Vintage Alphabet design features on sipper cups, plates and cutlery. But that’s not all. 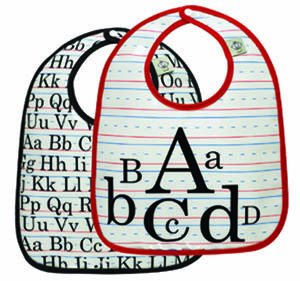 The same adorably quaint design features on floor messy mats, placemats, lunch sacks, bibs, aprons, backpacks and tote bags. My oh my! We like the little touches – those small but important details that clearly let you know another mum designed them. So cups can be used with or without their sippy lids, plates have a wider-then-normal rim to make it easier for little hands to carry as well as deeper-then-usual sides to help stop spills, while cutlery’s contained in a handy carry case that slips straight into your nappy bag for meals on the go. 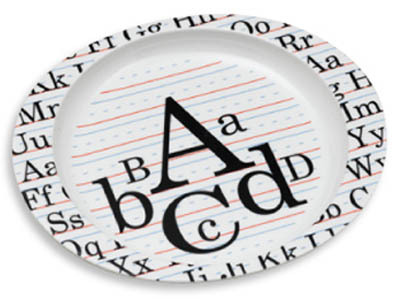 And it goes without saying that all plates and cups are made from melamine that’s both BPA and lead-free. 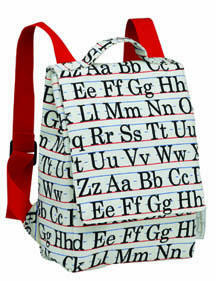 Vintage Alphabet has only just been released in the US so Ore’s exclusive Australian stockist Gifts.com.au don’t have any items yet, but feel free to contact them to check an arrival date or to browse the rest of their SugarBooger range, starting from $15.